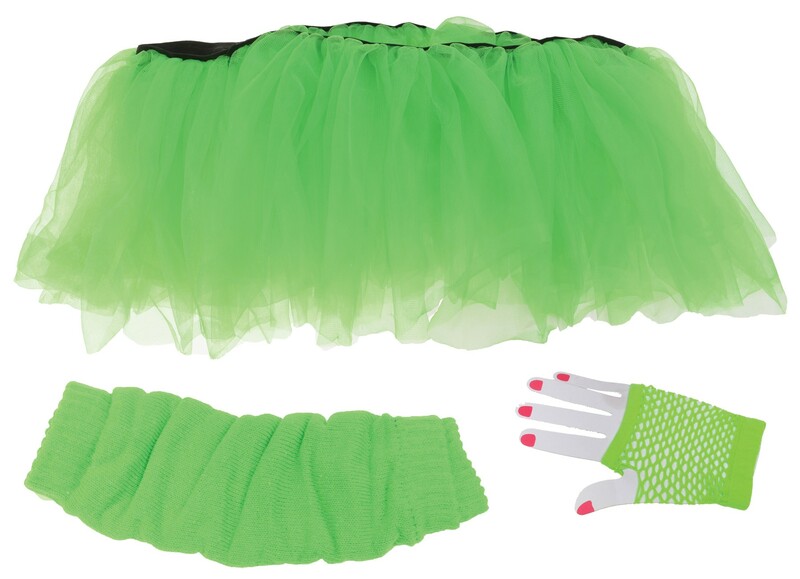 Tulle tutu comes with matching leg warmers and fingerless fishnet gloves. Just add your own bodysuit or shirt and leggings for a great outfit! Perfect for your 80's look! One size fits most. Neon green.